The corresponding Eguide has been updated, and is now titled Extending Active Directory® to AWS. Infrastructure-as-a-Service, or cloud infrastructure, has started to take over for on-prem servers. This move from traditional infrastructure like on-prem data centers or colocation has changed how user access management is handled. Instead of having local servers connected to the network structure, companies today often use a hosting service like AWS, GCP, Azure, or another hosting provider. This new system does end up causing problems for IT admins though. Manually manage their infrastructure (requiring much more work). Purchase an expensive enterprise identity management solution. Accept that their setup will have a significant security risk in the form of unmanaged machines. There is no need to employ one of the three prior painful methods listed above. A new generation of directory, Directory-as-a-Service® (DaaS), is able to solve some of the most complex problems that are faced. With a cloud-hosted directory, there is no network configuration required, increased security, and little to no additional administration needs. DaaS enables the modern business to manage and secure access to their cloud server infrastructure, making the complexity of cloud management easy. We created this eguide because we know that the traditional methods can’t address these complex problems. Whether it’s because of reliability issues, cost, security exposure, or anything else, JumpCloud strives to solve all of these issues for you. 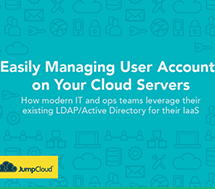 If you are interested in leaving the traditional directory woes behind, look into a cloud-based directory like JumpCloud. On top of all of the features already mentioned, this unified cloud directory is provider, platform, protocol, and location independent. 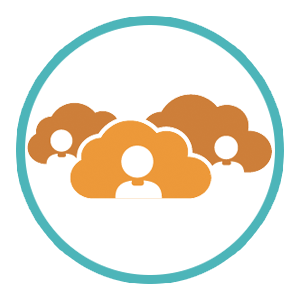 Plus, with True Single Sign-On™ for systems, cloud servers, web and on-prem applications, and wired and WiFi networks, combined with executable policies and tasks, IT admins can connect employee identities to any IT resource needed. To get a free account with Directory-as-a-Service, you can sign up here. Your first 10 users are free forever, so there’s no reason not to give it a shot. 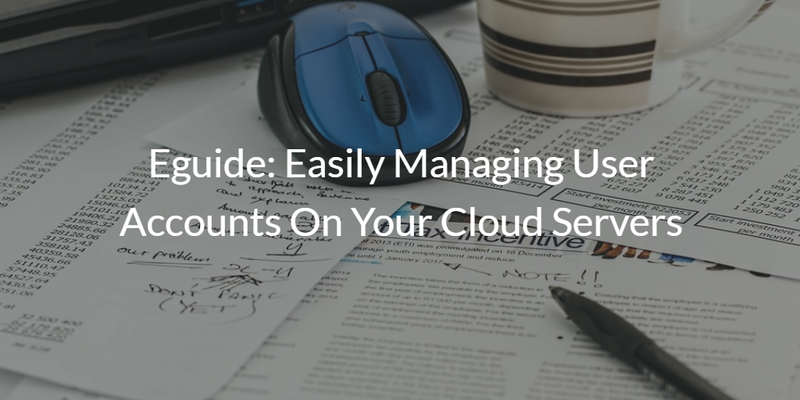 Alternatively if you have any questions about managing user accounts on your cloud servers, reach out to us. We would be happy to talk about why a directory like DaaS could be right for you.